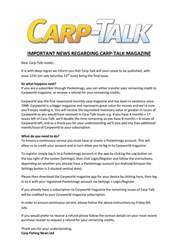 This week’s bumper issue of Carp-Talk (issue 1016) is available to download now! The mighty Collin from a Cambridgeshire syndicate tops the catches this week, having been banked by Liam Duncan following his 72nd night on the venue. 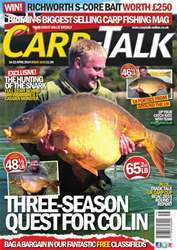 We have also got the new Linear Fisheries lake record and 16 other UK forties. 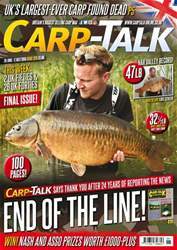 We round up the second round of heats in the British Carp Angling Championship, preview the start of the UK Carp Cup, and take a look at products from Fox, Sonik and JRC in ‘Trade Talk’. 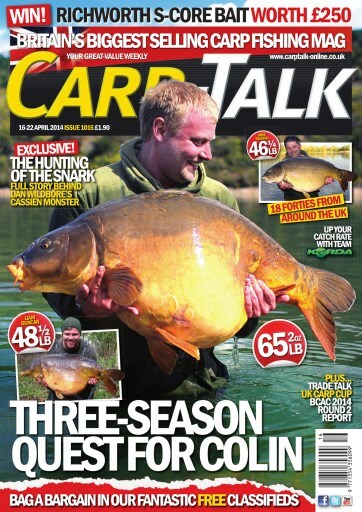 Mark Watson talks repeat catches, Angie Lawley looks back on a zigging session on Oxlease Lake, Rich Lofthouse champions the importance of rig camouflage, and Dan Wildbore gives us the exclusive story of his capture of the Snark from Cassien. 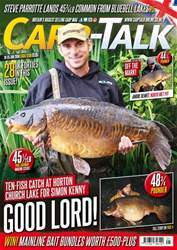 The 2014/15 Fox Mainline Carp Angler of the Year competition continues, and we have got £250 worth of Richworth S-core products to give away.